Welcome to the second chapter of the ITIL MALC tutorial (part of the ITIL Managing Across the Lifecycle Certification Course). Providing services and service management is all about understanding stakeholder requirements and expectations and meeting them. In this module, we shall discuss stakeholder management strategy, the relevance of business relationship management and managing communications across various stakeholders. We will start with the discussion of the role and contribution of business relationship management. The business relationship management process is responsible for some activities at every stage of the service lifecycle. It interfaces with various other service management processes. In fact, it enables these service management processes to align and integrate with the customer’s business. We shall now briefly discuss the role and contribution of business relationship management at each stage of the service lifecycle. Let us start with service strategy. During the service strategy stage, business relationship management is mainly concerned with applying the IT strategies, policies and plans to coordinate the service provider’s processes with customer’s requirements and opportunities. Business relationship management will assist service portfolio management in identifying the most suitable combination of lines of service and service packages that meet the new market spaces, customers, and customers’ requirements. It also provides required support in defining the outcomes that would be met and in building the business case for new or changed services. One of the key activities of demand management is to identify the patterns of business activity and business relationship management that plays a very important role in identifying these patterns as well as the factors that influence these patterns. A critical requirement for introducing new services is ‘funding.’ Business relation management helps financial management in influencing the allocation of funds, validation of cost models and financial forecasting. Let us move on to the Service Design stage. There exists a very strong interface between business relationship management and project management. Following are a few characteristics of business relationship management. The business relationship management forms the main link between project teams and customers. It helps in obtaining detailed requirements and clarifications where required. It enables identifying and providing the right resources from the customer’s side for the project requirements. Business relationship management also assists in on-going communication, planning, and liaison with the customer. It is during the design phase that the planning and costing for the entire lifecycle of the new or changed services are determined. 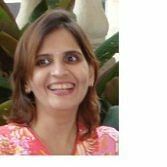 Business relationship management helps ‘financial management for IT services’ in ascertaining these costs and to ensure that these are in line with the strategic objectives. In case of any changes, business relationship management works towards gaining acceptance from the customer. Business relationship management and service level management are two inseparable processes that work towards meeting customer requirements and satisfaction. Business relationship management facilitates the identification, negotiation, and agreement of service levels. It also acts as a channel to communicate customer’s expectations and views through participation in review meetings and through customer satisfaction surveys. Business relationship management ensures that project and design teams are aware of the patterns of business activity as determined by demand management. It helps in communicating any changes or clarification required by project teams. Business relationship management plays a vital role in the definition of the services in the service catalog. It works with the customer representatives to build an appropriate definition of the services that would be included in the service catalog. Availability is one of the components of warranty of service. Business relationship management ensures that the availability requirements are clearly defined and delivered to availability management so that the design of services can be appropriate to the customer’s requirements. Though not directly responsible, business relationship management helps capacity management, where required, with an understanding of the types of transactions performed by the customers and the significance of the underlying systems and devices performance in executing the transactions. IT service continuity management is basically a subset of business continuity management. Hence, business impacts and recovery objectives can only be determined with the involvement of customers. Business relationship management facilitates the customer involvement in this area. Business relationship management coordinates customer involvement in the service transition stage as well. Let us look at some of the key areas of this stage. Change management is concerned with ensuring that required changes are raised, properly assessed and implemented. Business relationship management ensures customer representation in all these activities. In some cases, it is also responsible for signing-off the change implementation. Knowledge management should cover service provider’s requirements as well as customer’s requirements. Business relationship management ensures that knowledge and information required by customers are included in the knowledge management plans, and similarly, knowledge and information about the customer and business processes and requirements are available in the service knowledge management system. Business relationship management assists service testing and validation process with customer inputs and involvement in planning, scheduling and executing the tests. It helps in identifying appropriate people from the customer’s side for performing the tests and resolving issues if any. Release and deployment management should schedule and plan development and deployment of changes based on business priorities. Business relationship management ensures that there is an agreement on the priorities between customer and service provider. 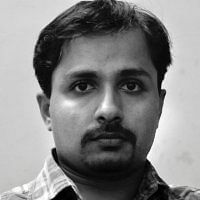 It also ensures that the customers and users are properly informed and trained on the new or changed services and that known errors are documented and made available by build and deployment teams. Change evaluation may identify various risks and actions about changes. Business relationship management coordinates the change evaluation activities, ensures that risks are either eliminated or mitigation plans are put in place, and other actions as suggested are properly addressed. The relevance of business relationship management continues in service operation as well. We shall now look at two important areas where business relationship management plays a key role in this stage. The first one is requested fulfillment which is a channel through which standard services are delivered to the customer. One of the key responsibilities of business relationship management is to educate the customers and users about the availability of standard services and ensure that these are included in the service catalog. In some cases, business relationship management will itself be the point of request for these services. It also coordinates with the customer to identify services or requests that may be channeled through request fulfillment. The second one is incident management efficiency that reflects the service provider’s capability to respond to issues and disruptions faced by users and customers while utilizing the services. Business relationship management is one of the key escalation points in incident management. It also plays an important role in major incidents and is responsible for managing communications and setting right expectations on incident resolution status. Business relationship management also helps in defining the categories and priorities for incidents. Now let us look at the role of business relationship management within continual service improvement. Service reporting is one of the basic elements of service level reviews. Business relationship management helps in determining what should be reported to the customer and what actions are expected from the customer side. Service level management is responsible for scheduling and conducting the service review meetings. Business relationship management ensures appropriate participation from the customer’s side. It also coordinates the actions required from customer’s as well as service provider’s side that are agreed in these meetings. Business relationship management facilitates continual service improvement through active involvement in the seven-step improvement process. It helps in identifying, communicating, prioritizing and implementing improvements not only to the services delivered but also to all the service lifecycle stages and processes. Let us discuss the various roles of business relationship management in the next section. We have looked at how the business relationship management process interacts and interfaces with various other processes and lifecycle stages; let us now focus on the roles and responsibilities related to these processes. As with any other process, the two important roles related to this process are – the process owner and the process manager. In some organizations, these two roles are combined and simply named as a business relationship manager. For our discussion, we shall look at them as two separate roles. The first responsibility is to carry out the generic process owner’s role. Reviewing opportunities for process enhancements and improvements. The other key responsibility is to work with other process owners to ensure there is an integrated approach to the design and implementation of business relationship management. Carrying out the generic process manager’s role which includes ensuring that all process activities are performed, appointing people for the required roles, managing resources, monitor and report process performance and identify and implement improvement opportunities. Identifying customer’s needs and ensures that the service provider is able to meet these needs with an appropriate catalog of services. Ensuring that customer expectations do not exceed what they are willing to pay for and that the service provider is able to meet the customer’s expectations before agreeing to deliver the service. Ensuring high levels of customer satisfaction; indicating that the service provider is meeting the customer’s requirements. Establishing and maintains a constructive relationship between the service provider and the customer based on an understanding of the customer and their business drivers. Identifying changes to the customer’s environment that could potentially impact the type, level or utilization of services provided. It identifies technology trends that could potentially impact the type, level or utilization of services provided. Establishing and articulates business requirements for new services or changes to existing services. We will learn about stakeholder management in the next section. Stakeholders are those who have an interest in an organization, project or service and may be interested in the activities, targets, resources or deliverables from service management. In general, it includes – organizations, service providers, customers, consumers, users, partners, employees, shareholders, owners, suppliers, and relevant government bodies. We are more concerned with stakeholders from a service provider point of view and hence shall limit our discussion to these stakeholders. The stakeholders of a service provider organization can broadly be classified into internal and external stakeholders. Internal stakeholders include - functions, groups, and teams that contribute to the delivery of services by performing designated activities. External stakeholders of the service provider organization include - customers, users, and suppliers. Customers are the ones who buy goods and services and pay for them if so agreed. The service level agreements are agreed and signed-off with the customer. Customers can be either internal or external. Internal customers work for the same business as the IT service provider. For example, HR department, marketing department, procurement department, etc. are considered internal customers when the IT department of the organization provides services to them. External customers work for a different business from that of the IT service provider and buy the services based on a legally binding contract or agreement. Users are the people who use the services on a day-to-day basis and are primarily from the customer’s organization. The third category is ‘suppliers.’ Suppliers are third parties providing goods and services that are required to deliver IT services. A service provider will have to manage all these different stakeholders to ensure services are delivered, and obligations as per the agreements are met. In the next section, we will discuss stakeholder management strategy. One of the key challenges in designing, implementing and managing services is to ensure that the requirements and expectations of all stakeholders are met. To overcome this challenge, a stakeholder management strategy should be defined and put in place. Based on the identified list of stakeholders, the various aspects of service are designed. This includes identification of stakeholders relevant to different stages of the lifecycle. What are their interests and influences likely to be? The answer to this question helps in defining an appropriate communication strategy for the stakeholders. How the project or programme will engage the stakeholders? Based on the answers to the previous questions, it is now essential to identify areas of the project where appropriate stakeholder involvement should be sought. What information will be communicated to the stakeholders? It is important to communicate what is of relevance and what is of interest to the respective stakeholders. How will feedback from stakeholders be processed? This will require determining a predefined process for handling and respond to stakeholders’ feedback. Let’s look at the diagrammatic representation of the various stakeholders in the next section. Stakeholder management is one of the critical success factors for delivering efficient and relevant services. In the previous section, we saw that the first question that a stakeholder management strategy has to address is “Who are the stakeholders?” of a specific service. The diagram in this section is a good representation that covers various possible stakeholders. It may sometimes be useful to list the stakeholders under various categories. This will help in better stakeholder management. It is also possible that individual stakeholders may be performing various roles or wearing different hats. In such cases, they should be shown under all relevant categories, and their requirements are taken care of or managed appropriately. Please go through each of the boxes in this diagram and think of what could be their requirements or influences on a specific IT service you may be aware of. Let us now look at a sample of stakeholder commitment chart. Stakeholders can have positive or negative influences on various service management processes and activities. Stakeholder management strategy should include a method for determining the levels of commitment required from relevant stakeholders to ensure successful service development and delivery. What you see in this section is a sample stakeholder commitment chart. The first column shows the list of stakeholders and the first row shows the type of commitment. In simple terms, the commitment can be tracked at four levels: not committed, no resistance, helps it happen and makes it happen. It is a known fact that all stakeholders may not have the same level of commitment when an initiative is started. Also, the commitment and interest may change from time to time. The stakeholder commitment chart helps in identifying the current commitment level as well as the required commitment level of all the relevant stakeholders. The required commitment level is what makes the initiative successful. 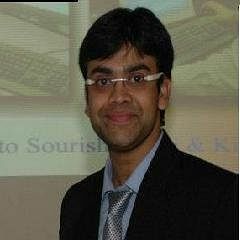 On the contrary current commitment level of the chairperson of the board is at ‘no resistance’ whereas the expected level is ‘make it happen.’ This analysis will help in taking appropriate steps to influence the stakeholders and get the required level of commitment, especially on the positive side. This is a very good tool for stakeholder management and can lead to significant benefits if used in the right way. In this section we discussed stakeholder commitment chart, moving ahead, we will now look into a stakeholder map and its different components. As discussed so far, stakeholder has different levels of interest and also different areas of interest in a service change or project. The stakeholder map, as shown in this section, can be used to plot the various stakeholders against their interests in the change or project. This is normally created during the service design stage. Let us now look at two key benefits derived by creating a stakeholder map and performing an analysis of the same. Stakeholder map and analysis helps in ensuring that the stakeholder requirements, interests, and impacts concerning concerned change or project are properly understood and responded to. Helps in ensuring that appropriate communication channels are put in place, and the messages, media, and levels of detail provided align to the needs of relevant stakeholders. We will learn about a service model in the next section. A service model shows how service assets interact with customer assets to create value. It is a diagram that shows the components required to enable delivery of a service. It also depicts how these components are related and how they are used by the service. Service models also act as the blueprints for service management processes and functions to communicate and collaborate on value creation. Representation of the interaction between service assets and customer assets is the key in service models. Service level agreements specify the terms and conditions on which these interactions occur with commitments and expectations on both the customer’s side and the service provider’s side. They represent the structure and dynamics of services. These are in turn influenced by utility and warranty to be delivered to customers. The structure represents the service assets required and the patterns in which they are configured, and dynamics represent the activities, flow of resources, coordination and interactions. The dynamics of service include patterns of business activity, demand patterns, exceptions, and variations. Service models can be effectively used in all stages of the lifecycle. They provide the basic architecture that can be used to define and develop service design package during the service design stage. During service transition stage, they facilitate the building, testing, and communication of changes to stakeholders. As service models indicate the dependencies and impacts more clearly, they help better incident and problem management during the service operation stage. They also enhance the effectiveness of continual service improvement. The feedback received from customers and service management processes enable service models to continually evolve. Let us look into the diagrammatic representation of the dynamics of a service model in the next section. 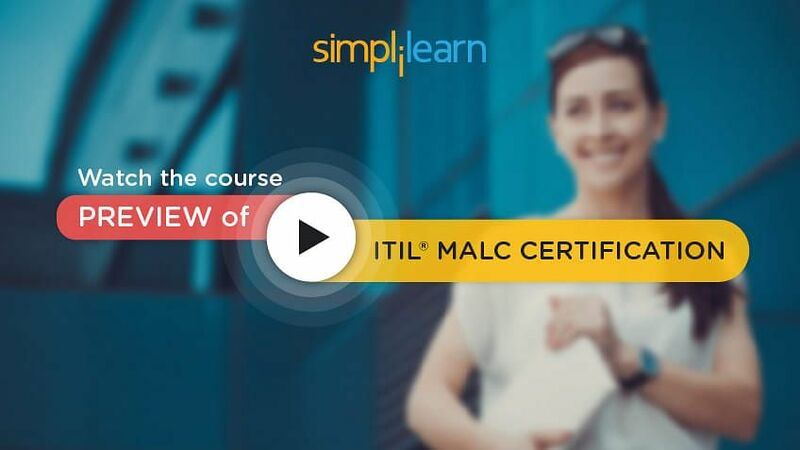 Are you curious to know, what ITIL MALC Certification is all about? Watch our Course Preview for free! The diagram in this section is an example representing the dynamics of a service model. Please spare a few minutes to analyze this service model. In the next section, we will learn about communication strategy. To change behaviors and organization’s culture will require a well-thought-out communication strategy and plan. While the strategy defines the objectives and policies, the plan specifies the stakeholders, format, and frequency of communication. Timely and effective communication forms an important part of a project or any service management initiative. The goal of the communication plan is to build and maintain awareness, understanding, enthusiasm, and support among key influential stakeholders. A communication plan should not only enable the flow of information but also be able to deal with responses and feedback from the targeted audiences. It will target information where it will be most effective. Below is a diagrammatic representation of communication strategy. We will discuss the different methods of communication in the next section. Now let us try to identify the various methods of communication. Workshops are the most effective way of communication during the initiation phase of a project or initiative. It delivers a clear and consistent message to the target audience. Newsletters are a good means to reinforce a message that has already been delivered. It can provide more detailed information about the initiative or project. Where new ways of working are to be introduced, training sessions are the best way to do so. Training enables the target audience to get acquainted with the new processes or activities and enables them to get clarifications during the session itself. Team meetings enable managers and leaders to communicate important information, schedules, status or for resolving issues. These can be held at periodic intervals as well as on ad-hoc basis. Meetings of the whole organization are the best method of communication when important messages, directives, policies are to be conveyed. One-on-one meetings are a good way of showing senior management commitment as well as to clarify employees’ queries. Q&A feedback is a good way of raising questions and getting answers or feedback without divulging the participants identify. This is sometimes essential to get more realistic or open inputs. The corporate intranet is becoming a more popular mode of communication in today’s world. It enables both communications to all employees as well as sub-set or intended groups. Simulation games can be a practical and fun way of trying out a new way of working. Consistent reinforcement memos from senior stakeholders enable appropriate emphasis on the initiative, communication or activity. Posters and roadmaps are a simple but effective way of communication. These can be used to show implementation activities, progress or general updates. Pay advice notes are a practical way to ensure successful delivery of communication. Z-cards or encapsulated reference cards are small documents holding key information and expected to be carried by staff in their wallets or purses. Moving on let us discuss ‘meeting’ in detail. The purpose of meetings is to communicate effectively to a group of people about a common set of objectives or activities. Meetings should be well controlled and brief, and the focus should be on facilitating action. For a meeting to be successful—there should be a clearly defined and communicated agenda, relevant and required audience, the adequate involvement of the participants and finally minutes of the meeting produced and distributed. Let us now discuss some of the common meetings applicable during service operation stage. These are daily or weekly meetings chaired by the IT operations manager and attended by all managers of IT departments and teams. The purpose of this meeting is to make staff aware of any issues relevant to operations and to provide an opportunity to raise any issues which they are aware of. These are also daily, or weekly meetings intended to be conducted by each IT department or team. The manager passes on relevant information from the operations meeting to the team members. Apart from this, the status of activities, resource requirements, potential problems, and rosters are also discussed. It is important to hold meetings with customers in addition to the regular service level review meetings. These are essential to collect all information required to prevent recurrence of such incidents. It also helps in understanding unforeseen business impacts and to repair any strain in relationship with the customers. These are regular meetings with customers to discuss areas of common concern. These are generally held with involvement from business relationship management and service level manager to ensure that communications to the customer are coordinated and consistent. The next section describes the key activities for developing the communications plan. The first activity is to identify stakeholders and target audiences. This includes defining all users, customers, IT staff, and suppliers. The next step is to develop communication strategies and tactics. This involves defining the objectives; goals, and policies for ensuring that information flow, responses, and feedback are appropriate to the set the objectives. The third step is to identify the appropriate communication methods and techniques. To meet different purposes and objectives, different methods of communication or a combination of the methods will have to be adopted. The next step is to develop the communications plan. The plan should be as detailed as possible so that it will target information where it will be most effective. The fifth step is to identify the project milestones and related communications requirements. All the stakeholders should be able to receive information at defined milestones. The final step is to identify and implement all the tools and techniques needed for implementing the plan and achieving the objectives. We will look into the communication plan in the next section. It is important to identify the person or role that would be responsible for sending the message or information. It may be appropriate for senior management to send messages of high importance or signification, while others may be sent by service owner or relevant managers. Apart from the content, the purpose and objective of the message should be defined. These should be developed or tailored based on the target audience. Another important aspect is the identification of the target audience. This can range from the complete organization to a specific team or group. The target audience will mostly be determined based on the purpose and objective of the message. To be effective, it is important to deliver the communication promptly. In case of reports, the frequency should also be agreed and defined. Different types of communications may require different methods and modes of delivery. This again depends on the significance of the message and the objectives intended to be achieved. It is essential to provide a mechanism to enable the audience to send queries and provide feedback. The communication plan should define the ownership for responding to the queries and analysis of feedback. The importance of communication during service design is discussed in detail in the following section. Let us discuss the requirements and importance of communication during the service design stage. It is also essential to ensure that service providers integrate all five aspects of design so that the designs developed to provide the required functionality as well as meet expected performance levels. Good communication between the various design activities and all concerned parties, including the business and IT planners, designers, architects, and strategists. The latest versions of all appropriate business and IT plans, and strategies are available to all designers. All architectural documents, service models, service solution designs and SDPs conform to strategic, architectural, governance and other corporate requirements, as well as IT policies and plans. Good communication and coordination with service transition processes to ensure proper handover to this stage. Architectures and designs are flexible to respond to new business needs, can be integrated with all strategies and policies, meet the requirements of other stages of the lifecycle and facilitate new or changed services to align with business timescales. We will look into the communication path diagram next. We shall now move on to discuss the significance of communication during service transition. We have earlier seen that communications need to be timely, targeted at the right audience and clearly convey the messages and benefits consistently. This becomes even more important during the service transition stage. As service transition is concerned with developing and implementing service changes, communication becomes a critical aspect of this stage. The greater the change or project, the greater the need for clear communication about the reasons and rationale behind it, the benefits expected, the plans for its implementation and its proposed effects. It shows the typical communication activities that might occur in a project. Service transition ensures that the new or changed services meet the expectations of the business as documented in the service strategy and service design stages of the lifecycle. Basically, this stage manages the transition of the organization from one stage to another stage. It needs to build enthusiasm and commitment to the change. It should also enable all stakeholders to have a clear understanding of how the change will impact them and what is expected of them during the change process. A well-defined communication strategy and plan will take care of all these requirements. We will understand more about the importance of communication during service operation now. Communication is a vital activity during the service operation stage of the lifecycle. The need for timely and appropriate communication cannot be overemphasized to meet the service management objectives. There are numerous types of communications that are performed during service operation. Let us look at some of these communications. Routine operational communication is performed to coordinate regular activities of service operation at all levels. It also ensures that all staffs are aware of the scheduled activities, changes, and initiatives that may affect the normal operation of IT environment. Communication between shifts ensures that the handover between outgoing and incoming shifts is smooth and also makes the new shift aware of any potential difficulties. They also ensure that the new shift is aware of any tasks that need to be completed. Performance reporting is another key communication area. This is a means of IT service reporting to customers and users. The reports are used to demonstrate the achievement of targets against service level agreements. This is also used as a basis for charging for IT services delivered. Service operation staffs are sometimes involved in projects. Communication in projects is majorly related to ensuring that all members of the project team understand and are aligned with the objectives of the project. It is also used to assign work to individuals and teams. Ensuring that communication-related changes are made on a timely basis and to appropriate people is a key factor for successful change management. Making each team aware of the nature and schedule of changes and sharing progress reports are some of the essential ‘change’ related communications. Emergency communications are normally initiated by an incident manager or by senior IT manager designated as the escalation point. The purpose of ‘communication related to emergencies’ is to immediately investigate and confirm the impact and severity of the incident and to determine if it is, in fact, an emergency situation or not. Other communications within service operation include training on new or customized processes and service designs; and communication with users and customers. Let us now discuss the different roles included in a communication plan in the next section. In most organizations, continual service improvement activities are performed on an ad-hoc basis rather than following a well-defined formal approach. It is also important that all stakeholders are kept informed about all changes to processes, activities, roles, and responsibilities. In this direction, the goal of a communications plan should be to build and maintain awareness, understanding, enthusiasm, and support among key influential stakeholders for the Continual Service Improvement or CSI initiatives. Incorporate the ability to deal with responses and feedback from the targeted audiences. We have reached the end of learning unit 2. let us briefly discuss what we have learned so far in the next section. We have come to an end of the learning unit 2 which dealt with the communication and stakeholder management. Next, in the third chapter, we will learn about Integrating Service Management Processes Across the Service Lifecycle.